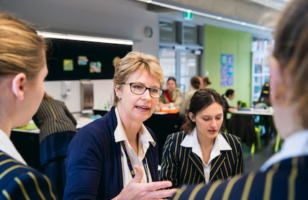 The Roslyn Otzen Award for Exceptional Teaching is a major initiative by the Alliance to recognise the outstanding women and men who make a significant contribution to teaching in girls’ schools. This Award will not only honour exceptional teaching practice, but will also serve as a means for all teachers to share best practice and to understand new and innovative teaching approaches. 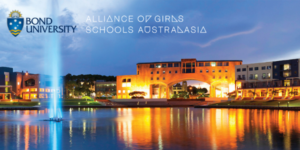 The Award has been named in honour of Dr Roslyn Otzen, Alliance co-founder and advocate for girls’ schools. • demonstrated a deep understanding of contemporary leadership in girls’ education, that has led to significant educational improvements in the classroom and school. The nomination should be no more than four (4) pages in length including the Nomination Form. It should address the relevant criteria from the list above clearly and succinctly. A short resume of up to three (3) pages may be appended to the nomination to illustrate the nominee’s career and achievements. Other appendices will not be accepted. Information provided in the nomination form of the successful nominee may be published. The nominee is requested to be available to make a short video statement if required. The Alliance will contact the nominee should this be required. The successful nominee agrees to write an appropriate paper for publication by the Alliance. A selection committee is appointed from the Alliance’s Executive Committee. $2000 will be awarded to the recipient along with complimentary registration at an Alliance conference or event of the recipient’s choice, scheduled within 24 months of the award announcement. Recipients will be announced via Alliance publications and formally recognized at the Biennial Educators Conference. Nominations must be emailed as a single PDF file to: [email protected] please note, hard copies or multiple files will not be accepted.